Aquarium Research: What happens to fish after catch and release? What happens when recreational fishermen have to throw back some of their catch to comply with fishing regulations? Do these discarded fish live to see another day? Can they overcome stress and injury from capture and survive once released? And, what does that mean for the overall population of haddock, cusk and cod? it to the ocean. The acoustic tags can be seen on its side. To better understand these questions, researchers from the New England Aquarium, the Massachusetts Division of Marine Fisheries, University of Massachusetts Dartmouth School for Marine Science and Technology and University of New England have recently received more than $700,000 in research funding to dig deeper. They are in the midst of a string of studies that use acoustic tags to track the fate of discarded fish in the days and weeks after they are released. Eastman’s Docks Fishing Fleet in Seabrook, N.H., and Yankee Fleet Deep Sea Fishing in Gloucester, MA, are the primary fishing operations assisting the research teams with field studies. 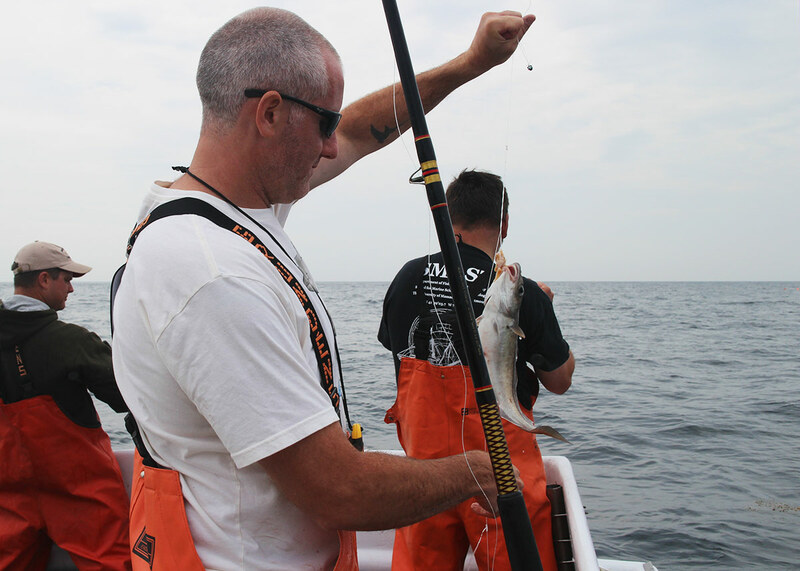 Recreational rod-and-reel fisheries are responsible for a growing proportion of the total catch of Atlantic cod and haddock, which are economically and ecologically important ground fish species in the Gulf of Maine. But, very few know how these fish fare when they are discarded alive due to minimum size requirements, daily possession “bag” limits for individual anglers and current bans on harvesting cod by recreational anglers. Past work funded by NOAA National Marine Fisheries Service’s Bycatch Reduction Engineering Program (BREP) focused on cod, while newly acquired grants from the New England Fisheries Management Council and NOAA National Marine Fisheries Service’s Saltonstall-Kennedy (SK) Program are enabling work on increasingly important species like haddock and cusk. 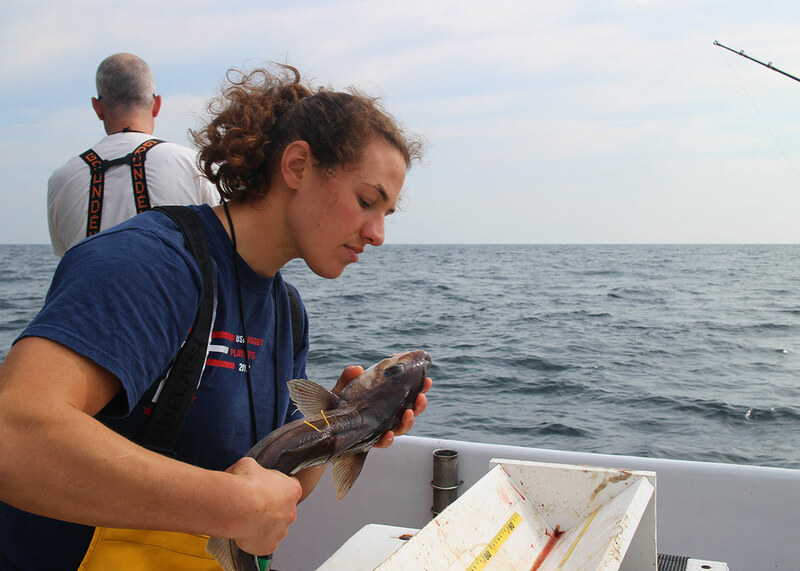 Collectively, this support will allow continued work gauging the collateral impacts of recreational fisheries and strategies to increase survival of discarded ground fish in the Gulf of Maine. “It’s in everyone’s best interest to have the best data possible for stock assessments, fishing regulations, and other management processes,” said John Mandelman, Ph.D., the New England Aquarium’s Director of Research and Co-Principal Investigator on these grants. The two main goals of these studies are to (1) better understand the mortality rates of these species; and (2) generate best fishing and catch handling guidelines that can be used by conservation-minded anglers to increase the survival of discarded fish. For example, Mandelman said the team can learn a lot by looking at injury and survival relative to how the fish are caught, such as the fishing tackle types used, how long a fish is fought, how long it takes to unhook it and environmental influences such as seawater temperature. A haddock is examined before it is put back in the ocean. 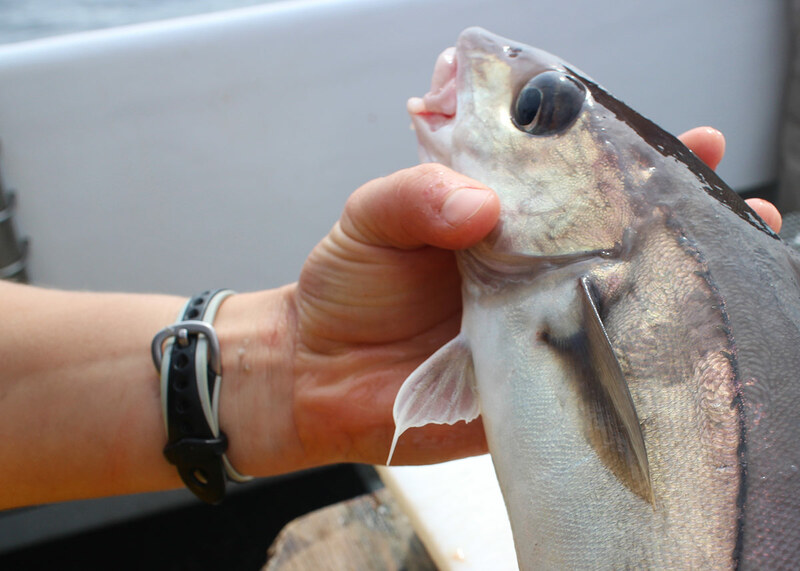 Adding to the increased need for more research is that with strict past limits and now the present ban on retaining cod in the reactional fishery, haddock are increasingly more important to anglers and recreational fishing operations. Haddock caught in the recreational fishery have accounted up 86 percent of the total haddock catch across fisheries, despite the typical assumption that commercial fishing is responsible for the most haddock catch. Moreover, in 2013 nearly twice the amount of haddock caught were discarded as were kept, so understanding whether they survive after release is vitally important. 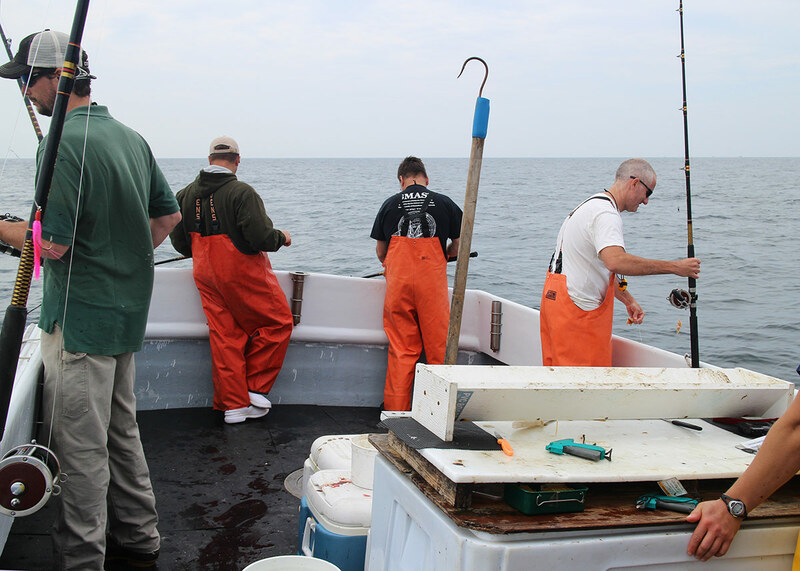 By generating data under authentic conditions, the team hopes to provide their findings to fisheries managers to aid management processes, such as stock assessments and the determination of size and possession limits for recreational fisherman. Management is already accounting for results. For example, cod discard mortality estimates from this work have been used in the cod stock assessment updates and to establish 2015 haddock possession limits, which were adjusted from two to three fish per angler per day according to lower than previously held mortality rates found for cod (which are sometimes caught in the same habitats). Dr. Mandelman's research has been covered in recent news reports. Read them here.